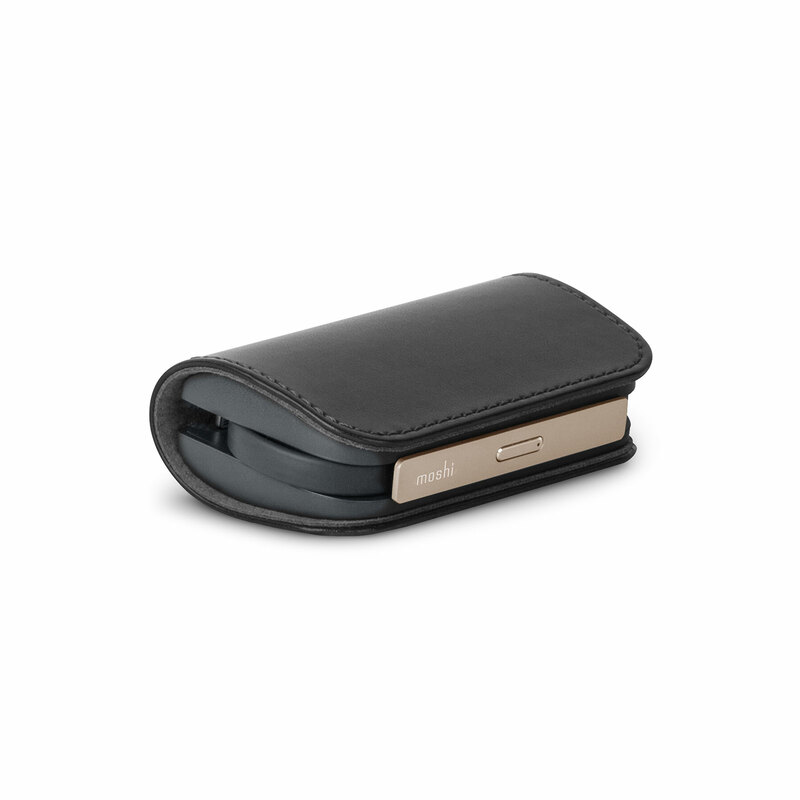 Modeled after a luxury key fob, this portable battery features built-in Lightning and USB connectors. No additional cables required. 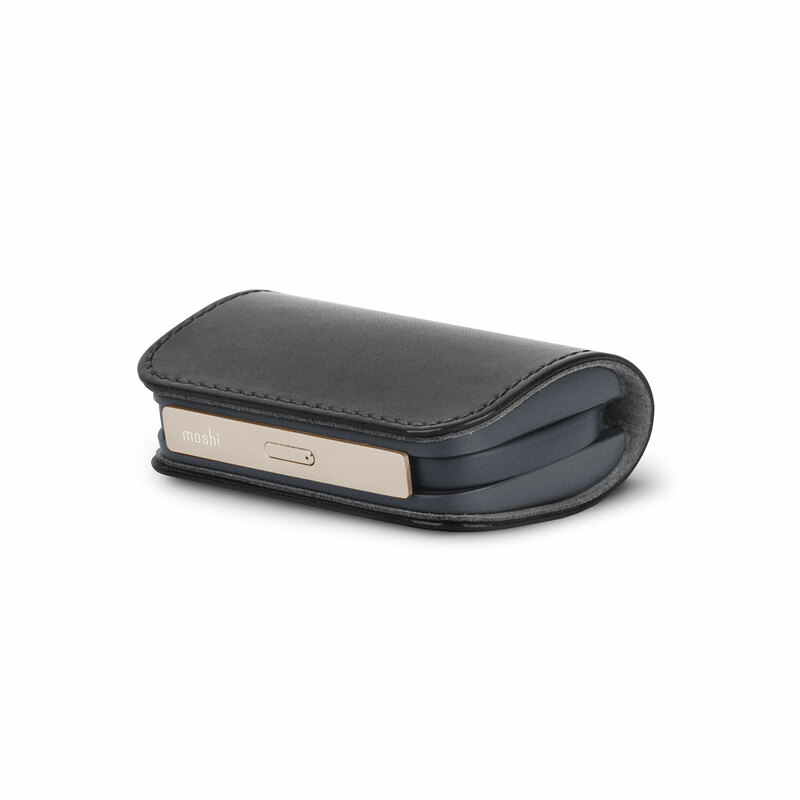 Vegan leather magnetic cover for premium style. 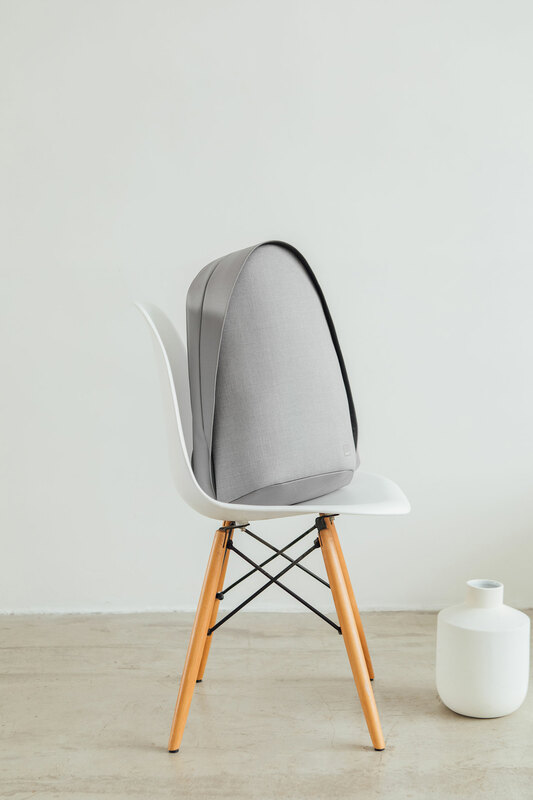 "Good design is also defined through technical innovations and the special touch and feel of a product.," Professor Dr. Peter Zec, Founder and CEO of Red Dot. 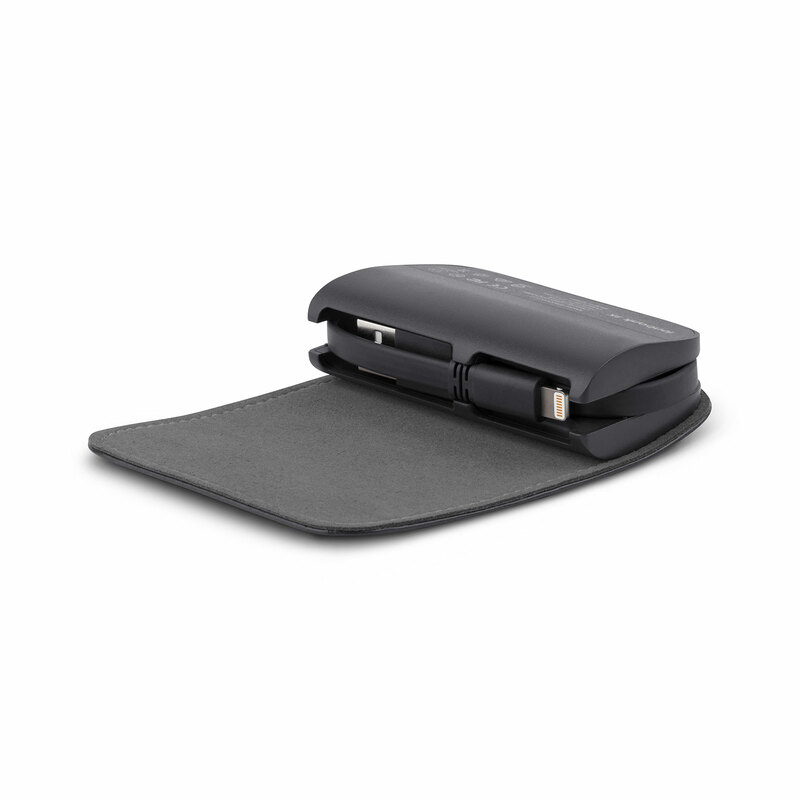 IonBank 3K features hideaway Lightning and USB cables with a sleek folding design. SmartSense™ circuitry charges your device and IonBank at the same time. Features 2.1 A fast-charging for a quick power boost. 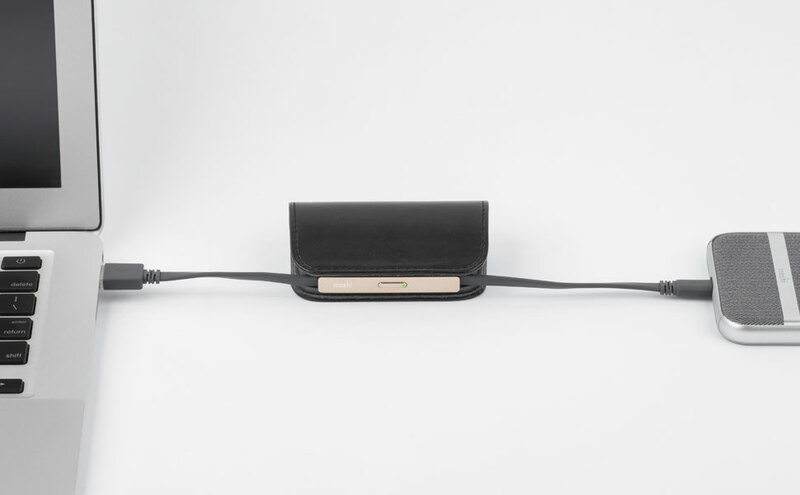 Power up with Moshi's IonBank 3K, a stylish, compact portable battery. 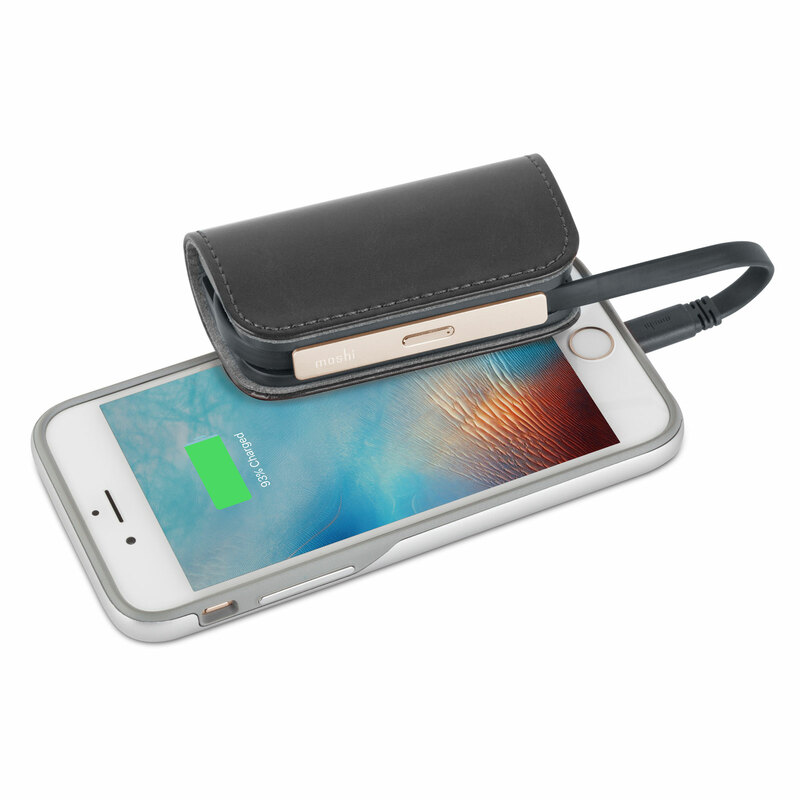 Its soft vegan leather cover opens to reveal a built-in Lightning cable to charge and sync your iOS device as well as a USB cable for recharging the battery pack. IonBank 3K features 2.1 A fast-charging for a quick power boost when you need it most. 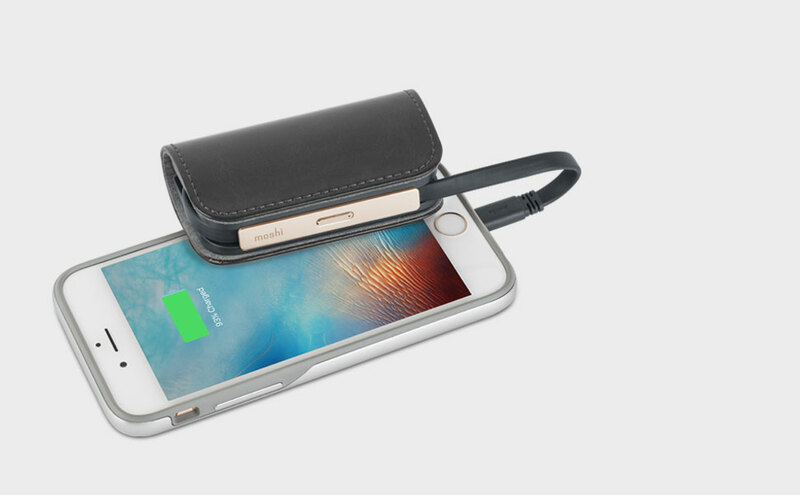 Its 3,200 mAh battery gives your iPhone 120% more battery life, and SmartSense™ circuitry lets you charge your device and IonBank together at the same time. A slim Lightning connector makes IonBank compatible with most ruggedized and waterproof cases. Aesthetically pleasing and remarkably functional, IonBank 3K is the quintessential companion for powering your iPhone on the go. Soft vegan leather with aluminum accents. 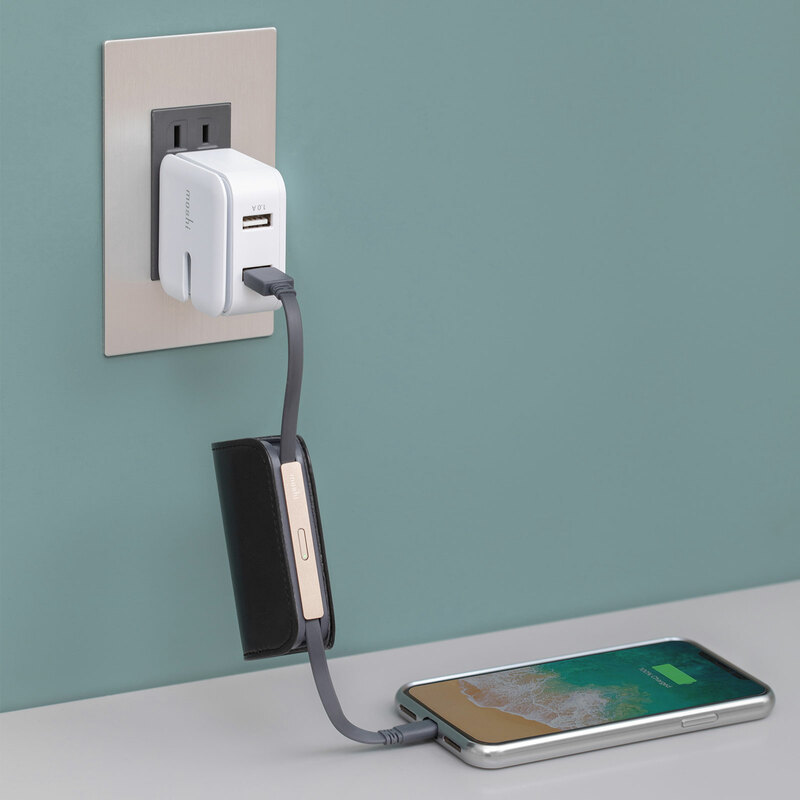 Fast-charging at 2.1 amps (10 watts total). 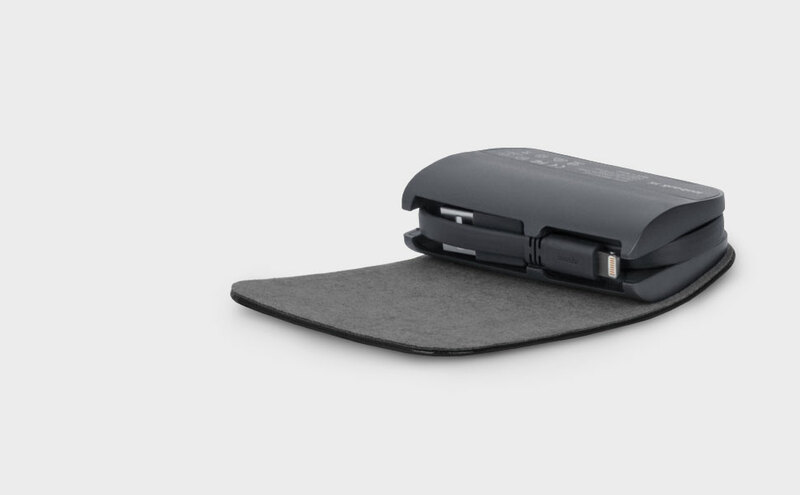 3,200 mAh capacity gives your iPhone 120% extra battery life. Slim Lightning connector fits most ruggedized and waterproof cases.